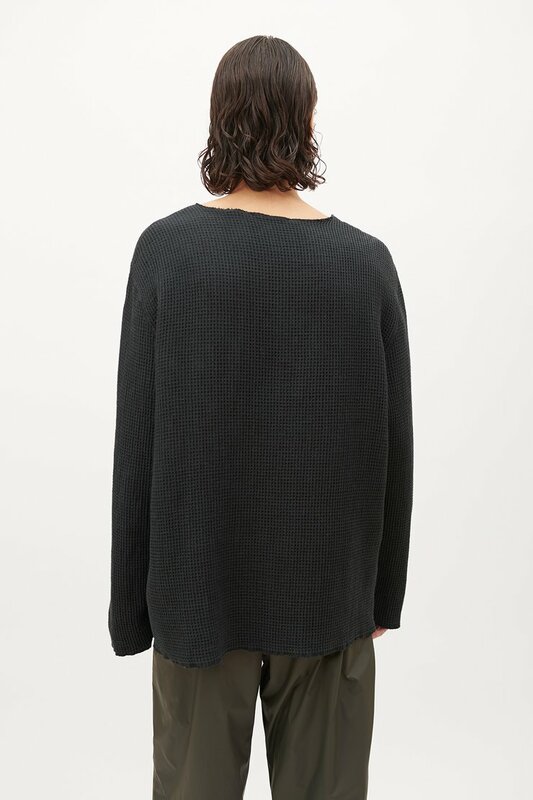 Our Craft Lock Sweat in Anthracite Waffle. 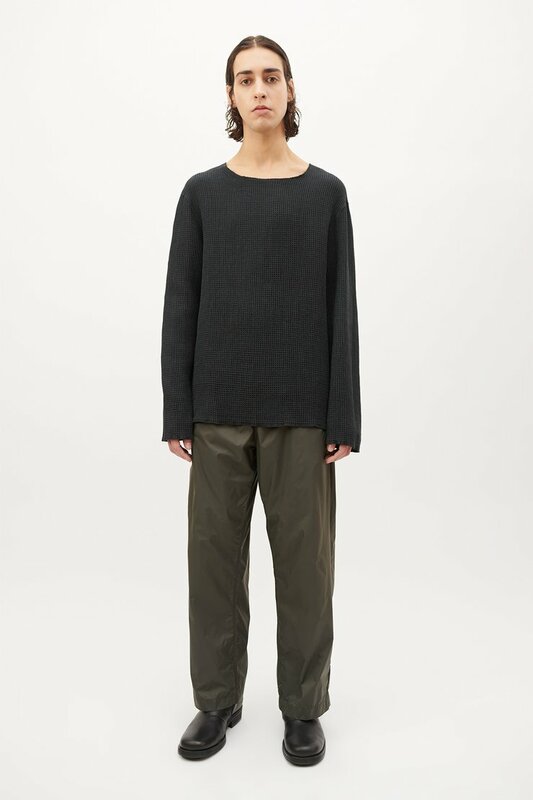 Produced in a linen and cotton blend waffle fabric, the Craft Lock Sweat has a relaxed, boxy fit and features overlocked seams and raw edged cuffs, collar and hem. 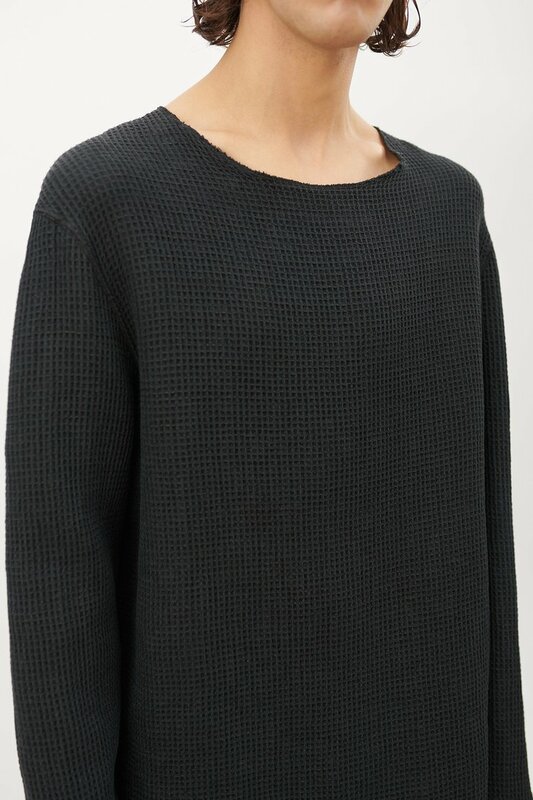 Our Craft Lock Sweat is slightly oversized with a wide boxy fit. 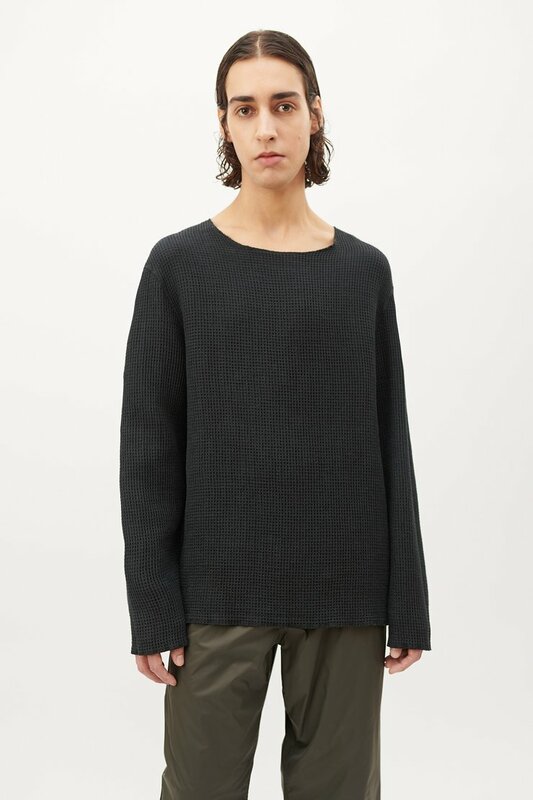 The model is 184 cm tall and is wearing a size M/48.